1834 Capped Bust Dime. John Reich-5. Rarity-1. Large 4. Mint State-67+ (PCGS). 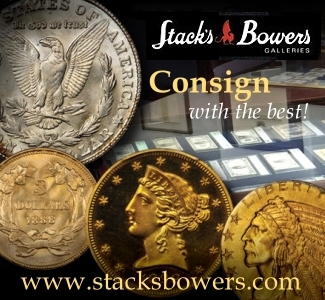 On Tuesday, February 9, Stack’s-Bowers, in association with Sotheby’s, conducted the third in a series of auction of the Pogue Family Coin Collection. I attended the event and reviewed it soon afterwards. Later, Reich half dollars from the 1830s in this Pogue III sale were the focus of a discussion. The present topic is the exceptional offering of Capped Bust dimes in this same auction, coins dating from the 1820s and 1830s. Bidding for Pogue Capped Bust dimes was very lively and many strong prices were realized. There was much collector participation. Collectors who cannot afford to to acquire dimes like those in the Pogue Collection may buy much less expensive Capped Bust dimes in lesser grades from other sources. For the least scarce dates in the 1830s, a Capped Bust dime in Very Fine-20 grade may retail for around $100. The Pogue dimes are a different matter, most of which went for more than $20,000 each! 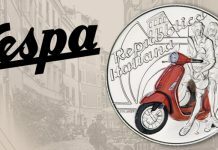 This was the most important offering of Capped Bust dimes since the Eliasberg ’96 sale, and many really pretty coins were featured. Of course, it is not practical to analyze all the Pogue Collection Capped Bust dimes herein. This discussion is limited to selected business strikes, and a special 1828. 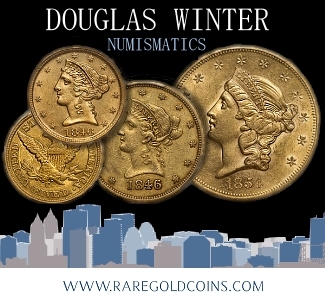 The emphasis is upon prices realized that were strong and on coins that are particularly noteworthy. There is not an implied criticism of unmentioned coins, as some of those are wonderful. The superb 1814 ‘Small Date,’ the key 1822, and the spectacular 1830/29 were already covered in my review right after the sale. So, these three will not be analyzed now. Tom Bender, the buyer of the 1822, was a serious participant in this sale and is extremely enthusiastic about dimes. 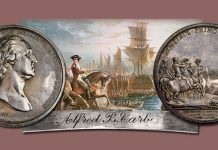 Tom has one of the five highest ranked “basic” PCGS registry sets of Capped Bust dimes. Also, he also has a tremendous set of Liberty Seated dimes. “Almost all the prices reflected retail levels for the business strike dimes; the top pops seemed to go for really strong money,” Bender says. “The Pogue Capped Bust dimes did not disappoint, about as good a set of Capped dimes as I have ever seen. 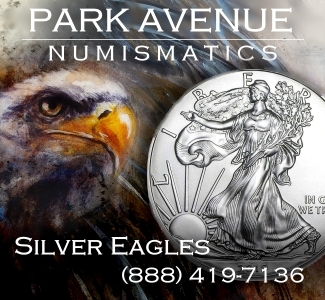 I started looking at bust silver in 2005 and I have been seriously buying Capped Bust dimes since 2007,” Tom reveals. Scott Travers puts forth similar points. 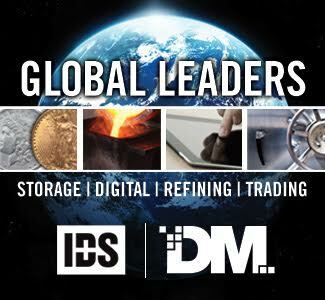 “The dimes did really well in this auction, reflecting solid collector demand. It was the best group of Capped Bust dimes I have ever seen,” Scott adds. Travers started seriously dealing in coins when he was in high school. The first edition of his guide, The Coin Collector’s Survival Manual, was published in 1984. There would be a need to analyze the greatest sets of dimes before ranking the Pogue Capped Bust dimes in the grand scheme. At different times during 1990, Stack’s auctioned both the James A. Stack (JAS) and Allen Lovejoy sets of Capped Bust dimes. Certainly, in addition to containing many gems, the JAS, Lovejoy and the Eliasberg sets were each more complete than that of the Pogues. Even so, the Pogues had some wonderful Capped Bust dimes, including a few finest known pieces. This was an offering that I will remember for the rest of my life. There were two 1821 ‘Large Date’ dimes in this sale. The first is PCGS graded as MS-66 and is of the JR-2 die variety, which is extremely rare. 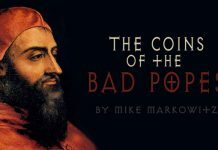 To comprehend the value of this coin, there is a need to think just a little about the meaning of a die pairing. To mint coins, a ‘front’ (obverse) die and a tail (reverse) die are secured in a mechanical coining press and used to forcibly impart designs on prepared blank pieces of metal. A die pairing involves the mating of an obverse die with a reverse die such that both dies are used at the same time in the same mechanical press to transform blank pieces of metal into coins. 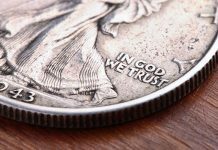 As such “matings” of obverse and reverse dies were often intended to be temporary, and sometimes lasted for just a few days, it is best to refer to them as die pairings, rather than as die marriages. For the Pogue 1821-JR2 ‘Large Date,’ the rarity of the die pairing had a powerful effect on the bidding. Indeed, the $70,500 result would be an extremely strong to absurdly high price for this coin if it was not of a rare die pairing. Given the excessive rarity of the 1821 JR-2 in grades above VG-10, the $70,500 result is understandable. This same PCGS graded “MS-66” Pogue 1821 ‘Large Date’ was PCGS graded MS-65 when it was auctioned by Stack’s in Baltimore, during July 2008. 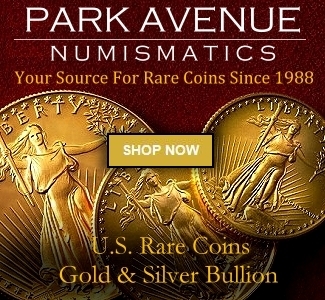 Markets for rare U.S. coins were just about peaking at that time, and were much higher than they are now. Even so, as a date or as a type coin, the $43,125 result was considered a mildly strong price for this same coin in July 2008. Most auction participants in 2008 were not thinking about its status as the finest known product of a specific die pairing. On Feb. 9, 2016, bidding started at almost $24,000,and skyrocketed. This was not a case of just two dime enthusiasts in a duel. There were at least four bidders involved at very high levels. Die variety collectors were eager to acquire this specific coin. The buyer, the “Miami Dime Guy,” prefers that his real name not be made public. If the Miami Dime Guy is accurately remembering that it was PCGS graded MS-64 before 1999, then this 1821 dime has been upgraded at least twice, from 64 to 65 and then from 65 to 66. The Miami Dime Guy was about as interested in this coin since 1999, when it was graded “MS-64,” as he is now. The Miami Dime Guy is certainly an example of an enthusiast for rare die pairings who is not focused on certified grades, which many coin buyers take too seriously in any case. He owns “over 100 Capped Bust dimes in 64 or better” and has an incredible set of die varieties. As a collector “by variety, an undisputed finest known is the ultimate prize, especially if it is an attractive coin as well,” the Miami Dime Guy declares, in response to my inquiry. The other Pogue 1821 ‘Large Date’ is not of a rare die pairing. It is PCGS graded as “MS-64+.” It brought $14,100, clearly a strong price. The most appealing aspect of the other 1821 ‘Large Date’ is its pedigree. 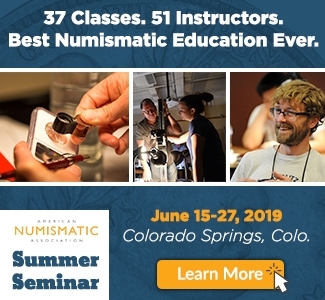 Indisputably, Matthew Stickney and James A. Stack (JAS) each formed one of the fifteen all-time greatest collections of classic U.S. coins. Stickney’s collection was auctioned with much fanfare and press coverage in 1907! 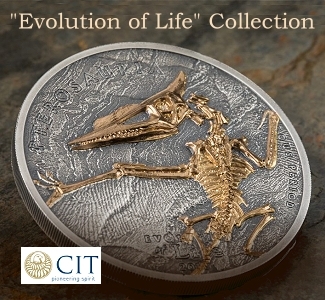 The JAS Collection was auctioned by Stack’s (NY) in parts, during 1975, 1989, 1990, 1994 and 1995. When the JAS dimes were auctioned in January 1990, these constituted the all-time greatest set of dimes to ever be publicly auctioned. The Eliasberg and Gene Gardner dimes were sold later. There were two 1824/2 dimes in the Pogue Collection, each of which was reportedly struck from the same pair of dies (JR-1) and each of which was PCGS graded as “MS-66.” The PCGS price guide value is $36,500. 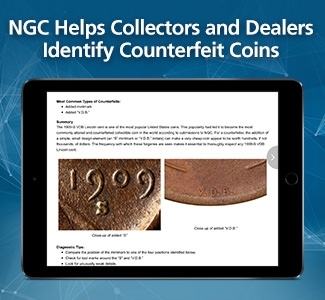 and the NGC price guide indicates $30,500. It is true, however, that the Gene Gardner 1824/2, which was NGC graded as MS-66, realized $70,500 in October 2014. Curiously, the PCGS graded MS-66 1824/2 that was not CAC approved brought twice as much, $56,400, as the one that was CAC approved, $28,200. The one that was not CAC approved has bright blue toning in the outer fields that might appeal to some buyers, though has been questioned by others. Regarding the naturalness of the blue tones, it is difficult to draw a conclusion. Pertinent collectors and dealers have voiced very inconsistent interpretations. This blue toned 1824/2 was formerly NGC certified as ‘Proof-65.’ While I conclude that it is not a Proof, it might be true that at least two serious bidders regarded it as such and beliefs that it is a Proof might explain the $56,400 auction result. The buyer of the second 1824/2, a gray toned coin, for $28,200 should be content, a moderate price. “Nice coin, perfectly acceptable,” Scott Travers says. In my view, the gray 1824/2 is noteworthy for eye appeal, lack of hairlines, and originality. The CAC approval is unsurprising. If not for some imperfections in the reverse inner fields, especially between the letters ‘NITE’ and the eagle, it would be one of the neatest dimes in this whole Pogue III sale. I am impressed that the second Pogue 1824/2 has probably never been dipped or cleaned with active fluids, during a period of more than 191 years! The Pogue 1827 dime is PCGS graded as MS-65+. “Probably dipped, a gem coin, nice,” Travers maintains. It has almost certainly been dipped, in my view. In any event, from a market perspective, this coin is well worth the $25,850 result, a fair retail price. On the Pogue 1827, the head of Miss Liberty is bright white. The outer fields naturally retoned a cool blue near the periphery and orange-russet about the stars. The reverse has a very frosty white texture. I have seen Capped Bust dimes that are inferior to this one in holders indicating MS-66 grade assignments. 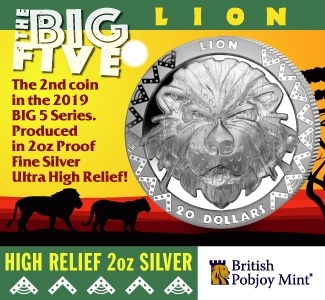 For the collector who likes very apparently dipped silver coins, this coin is a prize. The Pogue 1827 captures the attention of people who see it in actuality. The Pogue 1828 ‘Small Date’ dime is PCGS graded as MS-65+. It was earlier NGC certified as “MS-65* PL,” where ‘PL’ means prooflike. In April 2009, as part of the Joseph Thomas Collection, it sold for $11,500. 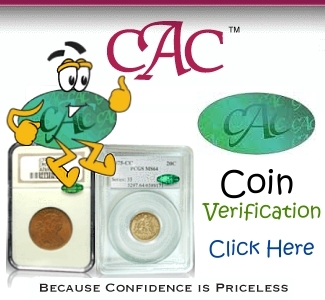 Although this coin has been CAC approved recently, it had not been when it was auctioned in 2009. Earlier, In February 2005, Heritage had auctioned this same coin for $10,810. On Feb. 9, 2016, the Pogue 1828 dime brought $18,800. 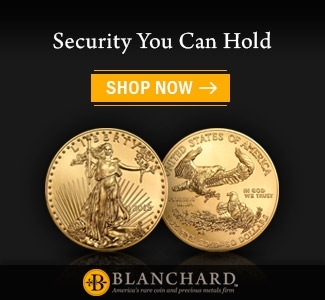 While a very strong price ‘for the holder,’ a purchase at this price would be a really good deal for someone who appreciates the finer aspects of this specific coin. In my view, this coin is not a business strike; it is not a Proof either, some sort of special striking. 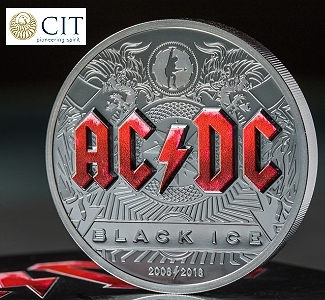 Although the dies used were worn and the coin was struck with many imperfections, the dies were very heavily polished in a creative way and this coin was struck twice. It had a cameo contrast when it left the dies and the rims have unusual characteristics. Perhaps if this Pogue 1828 dime placed ‘side by side’ with the lone 1851 Three Cent Silver and a few 1853 halves that have been certified as Proofs, the immediate point here would be clearer. The polishing and other die finishing work on those and on this 1828 dime were curiously extensive and deliberate, almost playful, for some kind of aesthetic effect. 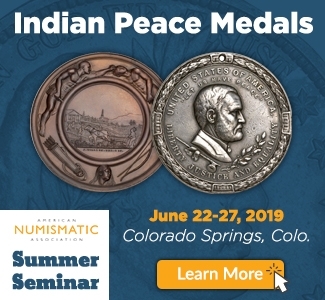 For the Pogue 1828 dime, a ‘Specimen’ designation should come through recertification. Although Travers does not necessarily agree with my analysis of this Pogue 1828 dime, he remarks that “it is special.” Scott emphasizes the “stunning visual appeal” and “amazing look,” which is “highly desired” by collectors. The spectacular 1830/29, which was already discussed in my auction review, deflected attention from the PCGS graded MS-67 1830 dime with normal numerals. This PCGS graded MS-67 and CAC approved coin sold for $67,562.50, a very strong price, probably an auction record. Tom Bender is also enthusiastic about it. “I like the Pogue 1830 a lot. 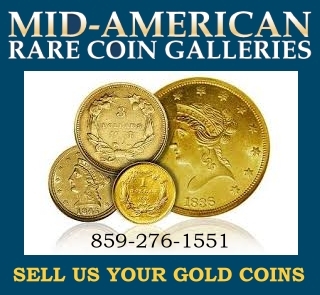 I did not bid on it because I am happy with the 1830 dime that I have,” Tom reports. 1831 Capped Bust Dime. John Reich-5. Rarity-1. Mint State-68 (PCGS). 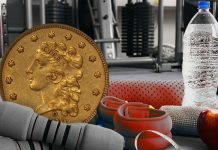 The Pogue 1831 is PCGS graded as MS-68 and CAC approved. 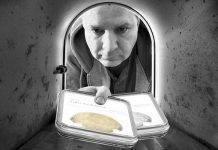 It brought $94,000, “a strong retail for this coin,” Tom Bender suggests. At the moment, I cannot remember a higher auction result for a business strike dime from the 1830s. This same dime was formerly in the type set of James Lull. In Fort Lauderdale, Spectrum-B&M auctioned this same coin for $37,950 in January 2005. This coin is more difficult to grade than most gem dimes, as the rating of the spectacular toning must be weighed against some noticeable imperfections. “It is a splitting of hairs in the stratosphere of super grades. This 1831 is among the finest known of the whole design type, an amazing coin,” Travers states. 1832 Capped Bust Dime. John Reich-7. Rarity-3. Mint State-66+ (PCGS). This Pogue coin is the sole 1832 dime that is CAC approved as grading in the MS-66 range, and CAC has not approved one at the MS-67 level. 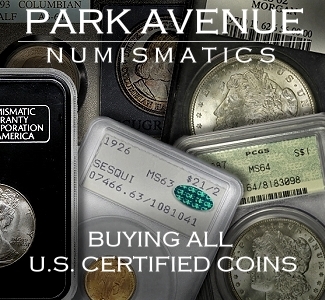 As the label inside the ‘cracked’ NGC holder was probably not returned to NGC, this Pogue coin is probably one of the two NGC graded MS-67 1832 dimes listed in the NGC census. The Pogue 1832 is an exceptional coin, with strong technical characteristics, much brilliance, and appealing shades of russet. Even so, the auction result was a little surprising. At the Pogue III sale, the buyer was Tom Bender who has since added this coin to his PCGS registry set. “The strike on this coin is excellent. I love the luster. From an appearance perspective, this 1832 fits in very nicely with my 1829, 1830 and 1831 dimes,” Tom finds. The Foxfire-Pogue 1834 was often discussed before the auction. 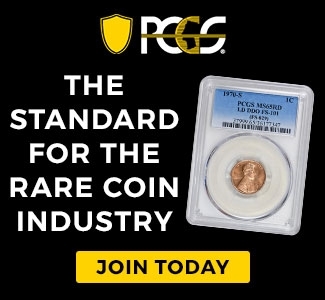 It is PCGS graded as “MS-67+” and CAC approved. Moreover, it is dynamic. The $70,500 result is likely to be an auction record for a business strike 1834 dime. This was an unexpectedly strong price. 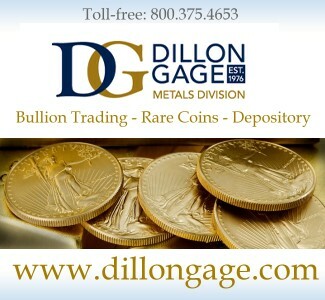 CAC has approved four ‘Large 4’ 1834 dimes as grading in the MS-67 range in addition to one ‘Small 4’ 1834 as MS-67. Many collectors find the difference in the size of the numeral ‘4’ to be inconsequential and thus just seek one 1834 business strike dime. 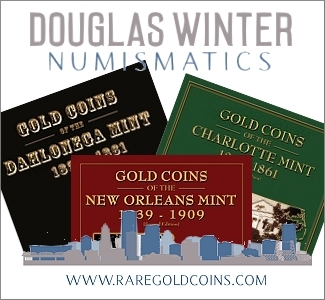 Besides, much of the demand for MS-67 grade bust dimes comes from collectors of type coins, who will not distinguish a ‘Large 4’ from a ‘Small 4.’ There may thus be five CAC approved 1834 dimes at the MS-67 level. The toning on this coin is even and cool. “Just beautiful, solidly graded as 67, would not be surprised if it got regraded as MS-68,” Travers exclaims. The offering of the Pogue Collection has placed a spotlight on the Foxfire type set, which had been somewhat secret. During the 1990s, Dr. Claude Davis was assisted by Richard Burdick. In 2003, Richard arranged for the Pogue Family to acquire the Foxfire type set intact, though some pieces were sold privately shortly after this private transaction was concluded in October 2004. There were many former Foxfire type set coins in the Pogue Collection, including the finest known 1796 and 1797 half dollars. The Pogue 1835 business strike is PCGS graded as MS-66. Travers and I figure that the grade of the Pogue 1835 business strike is in or around the lower part of the MS-66 range. The gray toning is pleasant and indisputably natural. The 1835 did not receive nearly as much attention as most of the other Capped Bust dimes in the Pogue III sale. The $16,450 result was moderate to strong, one of the better values in this run of dimes. 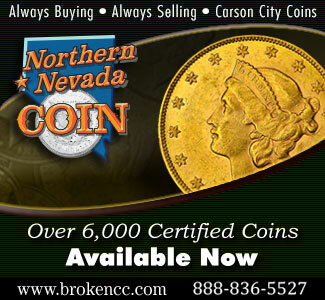 It is relevant that a NGC graded MS-66 and CAC approved 1835 was auctioned in March 2013 for $12,925. That piece and the Pogue coin are two of the three that CAC has approved as MS-66. Neither PCGS nor NGC has graded an 1835 dime as MS-67. Overall, the results for the Pogue Capped Bust dimes were strong. A few prices were extremely strong. The whole Pogue III event fared much better than other commentators have publicly suggested. There was a great deal of collector participation in this auction as a whole, not just in regard to the dimes.